The Ultimate Pug Box Giveaway! Are you ready for a box packed full of treats, toys, and pug-themed items to be delivered right to your door…. for FREE!?! Sign up for the Pug Box mailing list for a chance to win here. (Or paste this link into your browser window: https://mailchi.mp/9c00e38d7d2a/ultimatepugboxgiveaway). Each Pug Box is packed with 4-9 items that include a mix of tasty treats, fantastic toys, and great pug-themed stuff to please pugs and their pug parents! 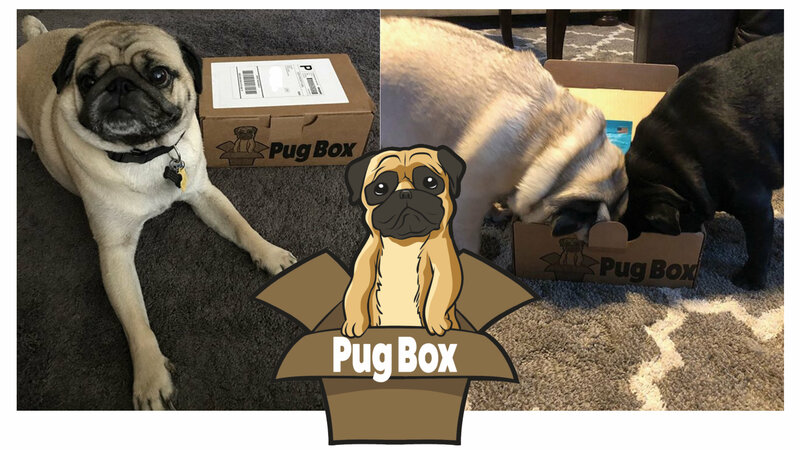 We’re giving away free Pug Boxes to three lucky pugs out there, and we can’t wait to draw the winners!